IRAs have been a staple of retirement savings for more than 35 years. But some investors want to add more innovative assets such as cryptocurrencies to their individual retirement account (IRA) portfolio. Their goal: grow long-term ROI that exceeds returns of traditional assets, such as stocks and bonds. Stellar Lumens IRAs from BitIRA enable Americans to invest in a new asset class. These accounts permit a wider range of potentially high-growth investments. But, they require different management practices than those used in conventional IRAs. Investors can add higher-risk, higher-reward assets to their portfolio, but they must follow different management rules. 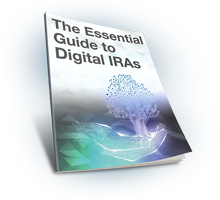 1) Set up a self-directed IRA. BitIRA can help you to roll over or transfer your retirement savings to an SDIRA if you already have an IRA or other qualified retirement plan. Learn details of the BitIRA rollover process. You can choose from Traditional, SEP, SIMPLE or Roth IRAs for your account type. Next step: selecting and trading cryptocurrencies. These include XLM (Stellar Lumens), Litecoin, as well as BTC (bitcoin), XRP (Ripple), BCH (bitcoin cash), ETH (Ethereum), and others. Learn about BitIRA offerings. 3) Choose other alternative assets (optional). Precious metals, equity in startups, or real estate investments in commercial, residential, or undeveloped land are just some of your investment options. 4) Invest in standard IRA assets (optional). These include all the familiar assets, such as individual stocks, bonds, index funds or mutual funds. Making sure you are eligible to roll over your 401(k). (We can help with that). Opening and funding a Stellar Lumens-based SDIRA. Your qualified Stellar IRA custodian, Preferred Trust Company, is a licensed trust company that specializes in SDIRAs. PTC will work on your behalf to acquire your new Stellar Lumens-based assets via one of our partner exchanges. Storing your Stellar Lumens coins in a secure location. Your coins will be stored in the world’s first and only fully insured cold storage wallet used for SDIRAs. Simply put, it’s the most secure storage option available for storing cryptocurrencies. SDIRAs provide a longer list of investment opportunities, but the flexibility comes at a price. You must take care of several important management tasks on your own. Unlike standard IRAs, you’re in charge of choosing, buying and selling the cryptocurrencies in your Stellar IRA account. You have the role of IRA manager, so you must make the final call on your purchases. Monitor the status of your investment rollover process. Understand investment options of cryptocurrency and traditional assets. Offer storage options that significantly reduce the chances of hackers or cyber crooks getting hold of your Stellar Lumens tokens. Facilitate purchases and liquidations, including for required minimum distributions (RMDs). Keeping your tokens safe during storage or various types of transactions is a big part of the challenge of cryptocurrency ownership. Learning about blockchain technology, current cryptocurrency exploits, and preventive security measures can help you keep your coins safe and avoid anxiety when the headlines get scary. Learn more about cryptocurrency security. Stellar Lumens-based SDIRAs provide significant financial benefits. Blockchain technology protects investors and users from counterfeit tokens, third-party surveillance, and control by governments, central banks, and other entities. There’s no need for a middleman to authorize transactions. And, you don’t need to worry about Big Brother or a nation’s currency market. In cryptocurrency transactions, all that matters occurs between buyers and sellers. You might have heard that you don’t have to pay taxes on cryptocurrency profits. Not true. However, with a Stellar IRA, you can defer taxes on cryptocurrency gains, IF you follow the rules and regulations. This means that you can buy, sell, or hold Stellar Lumens tokens as a long-term investment. Until you start taking money out of your SDIRA, you won’t have to pay Uncle Sam a penny. By investing in Stellar Lumens, you’ve left the familiar territory of conventional IRA assets, such as stocks, bonds and their related funds. Remember, cryptocurrencies are a new asset class. Be sure that you understand the ins and outs of using Stellar Lumens for this purpose. When investors buy Stellar Lumens tokens for their IRAs, they’re probably thinking about the coin’s usefulness for many types of financial transactions. The Stellar Lumens exchange process is similar to what happens when you buy bitcoin. Lumens, the official unit of the Stellar Lumens virtual currency, launched in 2014. It facilitates payments, transactions, and remittances across boundaries. Then and now, the emphasis is on useful applications. Dec 2018. The number of Stellar crypto wallets doubled to two million, up from one million in just the past four months. This suggests that the cryptocurrency, despite a bear market, is rising in popularity. Feb 2019. An IBM executive suggested a big partnership with Stellar for their World Wire payments solution. Such partnerships in the past few months have helped promote Stellar as a serious contender to the top crypto coins. Apr 2019. Amid a general recovery in the cryptocurrency market, analysts observing trends with Stellar Lumens (XLM) have called the coin a “perfect buying opportunity”. The Stellar platform connects individuals, institutions, and payment systems all over the world by enabling more efficient cross-border payments. It has become known as the Swiss Army knife of international, cross-border finance. It supports a host of functions, which make financial transactions fast, cheap, bank-free, and very flexible. Stellar operates as a free, open-source network, which includes a public, blockchain-based distributed platform and operating system. Its currency is the sixth-largest cryptocurrency as measured by market capitalization (USD 3.7 billion). Unlike many altcoins, XLM prices have tended, to date, to increase and decrease gradually, without the wild, up-and-down (20-30 percent) price swings of bitcoin and bitcoin cash. By continuing its focus on its core roles of international payments enabler and startup (ICOs) support currency, Stellar Lumens is slowly gaining more popularity. The Stellar network has made high-profile business partnerships with IBM, mobile payment network TransferTo, and others. The Stellar-IBM partnership reflects a division of labor in the coin’s application development. The hyperledger fabric is IBM’s version of the hyperledger blockchain. In their project to develop a cross-border payment system for banks, IBM uses its private hyperledger fabric blockchain to manage back-end functions, and Stellar software handles the transactions. Without a real-world application, any cryptocurrency is just electrons moving through a wire. Stellar Lumens has a down-to-earth function: making financial transactions and serving financial institutions. The decentralized, open source Stellar platform connects banks, payments systems, and people with a secure and decentralized payment network. Stellar enables users to freely send money across borders, without the hassle of formal banking procedures or currency exchange. You can send and settle payments in real time (2 to 5 seconds). Users pay very small transaction fees to help finance cybersecurity functions, such as preventing denial of services (DoS) attacks. Transactions are kept secure by using encrypted data and a decentralized digital ledger. Trans-border payments move through the Stellar network like email. Users can send remittances anywhere in the world through the same network connection. And, transactions use an automated currency exchange feature—there are no central banks or other third parties. In short, Stellar Lumens provides a new way to send payments internationally with less time, money, hassle, and transaction risk. Defines and protects processes (transactions) as well as currency. Uses smart contracts, small computer scripts that define and control the conditions of each transaction on the network. Includes anchors, trusted platform elements that people use to hold their deposits and issue credits in the Stellar network. Anchors issue credit that corresponds to the deposit made to your account address on the Stellar ledger. Enables multi-currency transactions: Stellar enables you to use built-in, distributed exchanges to send any currency you hold to anyone else in a different currency. The growing variety and sophistication of smart contract use cases and partnerships with global enterprises suggest a long-term interest in Stellar Lumens. Its usefulness lies in its ability to carry out an increasing list of financial exchange processes smoothly and efficiently. These factors have supported an increasing Stellar Lumens adoption rate, even in an otherwise neutral cryptocurrency market.